On the occasion of Gandhi Jayanthi, Sadhguru was invited to engage in the Ahimsa Lecture at the UNESCO Headquarters in Paris. 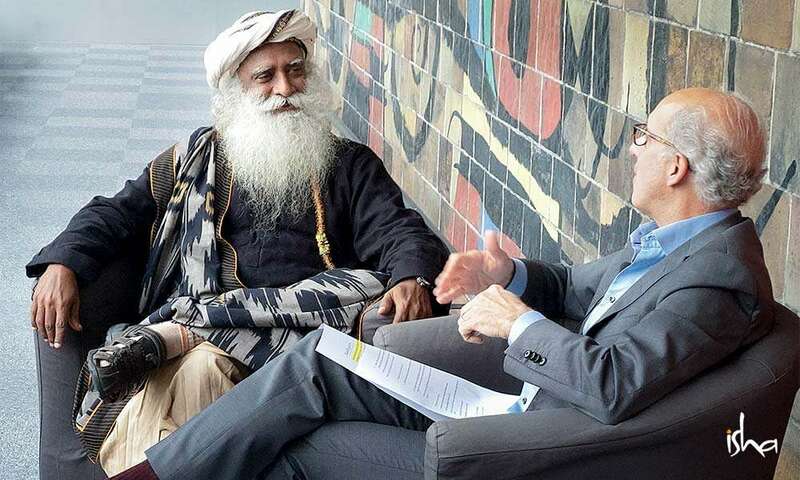 The UNESCO’s Chief of Media Services, George Papagiannis, followed up the talk in this interview with Sadhguru. They explore the possibilities of yoga as the ultimate solution, both on the individual as well as global level. The important thing is that we bring yoga not just as a practice but as an experience to people, Sadhguru says. George Papagiannis: Oh, I have to say this is one of those special moments at UNESCO. Because it’s not always that we go into a space that is particularly illustrative of perhaps giving us ideas, thoughts, reflections, on how we deal with our everyday lives, on how we potentially find solutions to some of the most troubling problems, and how potentially we also come together to look at the bigger problems that confront us, those challenges, and how we do them smartly, and how we do them together. It is my pleasure, today, as we go live from UNESCO, on our Facebook live, to introduce to you someone whom you probably already know, someone whom you have probably already seen on Facebook, and that is Sadhguru. Sadhguru: Thank you, George. Good morning. George: Thank you very much. Good morning to you, as we sit in front of the beautiful artwork of Joan Miró, here at UNESCO Headquarters in Paris. And we are going to have a conversation, I hope – we’ve already been talking amongst ourselves in ways that give me a really positive sense of the path that we are going to take over the course of the next few minutes. Sadhguru: That’s a good change, because I have no distinction between work and life. George: There are days when I don’t either, or it seems to be it. I’m interested; you discussed this yesterday, at different points of the conversation, even when you were reflecting in your thoughts and in what you were saying about being here at UNESCO, an organization that was founded essentially from the ashes of World War II, with a commitment to never again shall we see the world at war. And we struggle to fulfill this ideal and this mandate, and I am curious in terms of the work that you do, what you represent. Can we look to the traditions of yoga to find a way for us to address the challenges that face us? Sadhguru: I would say absolutely. Because the way yoga has come to United States – you are from New York – well, for a too large number of people, it’s just come as a fad; it’s about the Lululemon pants, and “I do yoga, this kind…, whatever – it’s a cool thing to do.” But that’s not what yoga is. The word “yoga” means union. Union means…right now, in individual experience, it’s like this: There is you, and there is the world. When life gets a little acetic, for whatever reasons, then it’s you versus the universe. You versus the universe is a silly competition to get into, but almost every human being is in that state. Yoga means consciously, you obliterate the boundaries of your individuality, not just intellectually, not in thought and emotion, but actually, in our experience. Right now, your individual experience is a concocted experience, because of our strong identification with our own bodies and our thought structures, our physiological and psychological structures, because of this, you are an individual, but actually, right now, as we sit here and breathe, what these plants are exhaling, we are inhaling. But it’s not in human experience. If you bring this into human experience, let’s say when you sit here, you are very conscious that actually, there’s an exchange happening between you and the plant life or the trees around you, and you clearly see one half of your breathing apparatus is hanging out there, then nobody needs to tell you, “Do not destroy that. Protect this, protect that.” None of those “thou shalt nots” will be needed for you. Essentially, yoga means this, that you consciously obliterate the boundaries of your individuality, so your experience of life is just as large as the universe or as large as life is. When this experience touches a human being even for one moment; if even for one moment, you experience all these people as you are experiencing the ten fingers of your hand – after that, nobody needs to tell you to be peaceful, to be loving, to take care of them, not to harm them. This is simply not necessary for you, because you have experienced what is around you as a part of yourself. Unfortunately, that experience seems to come to most people only when you bury them in the end, that they are part of everything. Sadhguru: It’s not a relationship. Sadhguru: Relationship means you need two. George: Mhmm. It is a oneness. Sadhguru: It is one life. You are just a pop-up on the planet. It’s like a computer pop-up. You pop up for two seconds, and you pop out. 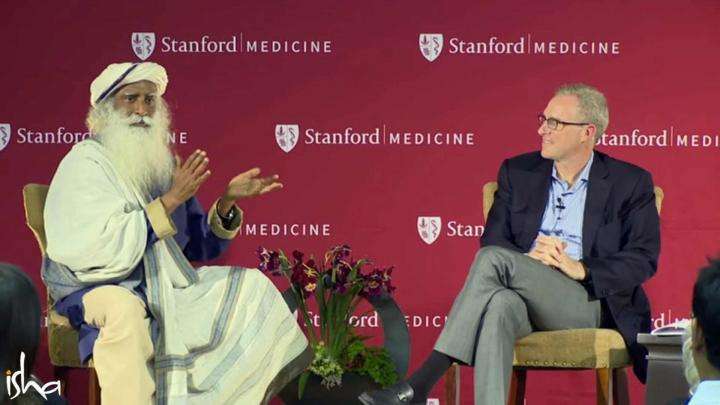 Sadhguru: I would say what you call as modern science is a small piece of what we call as yoga. That may sound… Because now, modern science is big in the world and yoga is a small side fashion that you do, people may think that it is a little arrogant, but I am telling you, what yoga means is it doesn’t exclude anything. What you call as modern science is a study of physical material, out of which we are learning how to reap many benefits in terms of technology. But even that knowledge, which is so fantastic, has turned against us, simply because of the individuality that we have, because our experience is not yet yoga; our experience is not in union. Because of that, even the scientific knowledge that we have has turned against us. In a way, science is causing more damage to the planet than anything else, unfortunately. Sadhguru: Because, see, we must understand when you give an instrument, however wonderful that instrument is, it is the hand that handles it which decides whether it is going to be destructive or constructive. Sadhguru: We have not fixed that hand yet. Sadhguru: We have not fixed that hand to be inclusive. It’s a very exclusive hand. George: No, an adventure, an adventure, and adventures are worth exploring, and so that’s why we are together. Individualism, is it more of a threat than an asset? Sadhguru: Individual-ism means it has become like a religion of its own. That is very dangerous. It’s a privilege that nature has given you an individual sense of experience, though you are just a small pop-up for two seconds on this planet… A countless number of people have come and gone before you and me. Where are they? Not a sign. They are all topsoil here. So this will also become topsoil, but in the meantime, I am an individual, which is a great privilege, that I can experience life as an individual. I have my own experience of life. It’s such a fantastic privilege, but this privilege, we have turned against ourselves. We are using our individuality like a prison, a shell that we cannot break. We are in a shell, we are in an eggshell that we never hatch. If you hatch, we call it yoga. If the bird flies, then it’s yoga. Otherwise, it’s just a shell. George: So where do we begin to focus through yoga on addressing these issues, addressing these challenges? We live, it seems, in a world that is moving in a cycle…that the human race goes through a cycle, and some people have even… cuts That some of the extreme views that we see today, the lack of appreciation for diversity, a lack of tolerance, a failure to see ourselves in the other is not unlike what we may have seen in the run-up to World War II. And so we have not only history teaching us lessons, but potentially other resources and other ways of perceiving our place here in this world. Through yoga, for example, how do we change a course… How do we prevent ourselves from repeating our mistakes? Sadhguru: So, essentially, we are always trying to do repair jobs. We are not willing to attend to the fundamentals. When you say, “How do we attend to this?” Someone asked me…a very prominent person in Europe once asked me, “Sadhguru, if there is one thing we can do for you which will transform this world, what is it?” I just named… I said I want twenty-five people for five days. You will see substantial change, and it will happen in the next two to three years’ time. He asked, “Who are these twenty-five people?” I named the twenty-five heads of state of major nations on the planet. You give them to me for five days. George: There’s the love of us coming back. Please continue. Sadhguru: So if these people who are holding positions of responsibility and power in this world, if their way of thinking and feeling and experiencing life changes even by ten to twenty-five percent within themselves, not hundred percent; if ten percent change happens, the world will be full of solutions, not problems. For example, I am talking about a very basic thing, which is driving millions of people. They are estimating in the next ten years, some billion and odd people will be migrating. Some kind of estimate like that is there. Sadhguru: You versus the universe is a silly competition to get into, but almost every human being is in that state. See, for the first time, we have the necessary resource, capability and technology to address every human problem on the planet. This was never possible. You are talking about World War II – at that time, it was not possible. Even twenty-five years ago, we were not really equipped to address everything. This is the first generation of people…that we have the ability to address every issue. Only thing is, there is no inclusive sense of consciousness among us. Still, we are thinking in terms of individuality or community or nationhood. We are not thinking… Experiencing life beyond that is not happening. Thought cannot change without experience. Wherever your experience is, what the level of your experience is, that’s what thought is. With a little bit of education, with interaction, you may extend it one step, but it doesn’t really go beyond. When your experience of the world changes, if really, as I was saying earlier, if you experience that your breath is connected to this tree right now, you will not need any ecological movements on the planet. Every human being will do what they have to do. At least, if this happens to the leadership in the world, they will do what they have to do. Because the type of resources they have today is such that one nation can solve the entire world’s problems; all kinds of problems that we have actually, of nourishment, health, education. Just one or two nations can solve the world’s problems. But we have still not experienced other life as my life. George: Why, then, are we at a time when we see ocean temperatures rising, which will have a significant impact on the environment we see…and climate. We are witnessing climate change in what I would call humungous storms that have never been seen before. The planet is speaking to us; we don’t seem to be listening. And I completely agree with you; I think we are one, one unit, and yet, the message isn’t resonating. Sadhguru: The dead got the point that we are one unit. The living are yet to get the point. George: So you mentioned the twenty-five… But what about the six billion? The twenty-five, are they really the lynchpin to change, or is it the empowerment of the individual, in the sense to understand and put that forward as a means of change? Sadhguru: Individual-ism means it has become like a religion of its own. That is very dangerous. Sadhguru: Today largely the world being a democratic process, these twenty-five represent those billions. These twenty-five are empowered by those billions. They are not somebody who dropped from somewhere. They are people who have been pushed up by the other people. So these twenty-five are good enough, because they can change a whole lot of things. The policy on the planet can change in a more humane way. When we talk about ocean temperatures rising, and many other ecological ingredients are working in a certain direction… This can be seen this way: Right now, everything that human beings have done on this planet is in pursuit of human wellbeing. It’s also written into the American constitution – “Pursuit of Happiness.” Pursuit of happiness is a wrong direction to take, because human happiness or misery, both happens only from within you. If you think by getting this or that, or ultimately conquering the planet or the universe, you are going to be happy, you are essentially destructive in your approach to life itself. When only a small number of people were having such aspirations, it looked like normal. Now six, seven billion people have those aspirations, and it’s just destructive. The destruction you see is just pursuit of human happiness – empowered by technology and science, of course. George: Pursuit of the individual’s happiness, not necessarily human happiness. Sadhguru: Oh, they are human beings, right? George: Yes, indeed. But I think when we speak about pursuit of human happiness. I would take that more as a collective effort. We are talking about everybody. Sadhguru: It is collective. It is because of all our actions put together that this destruction is happening, not just one individual…all of us. We want to build a certain kind of city – this is all of us. We can’t blame it on one person. All of us are enjoying the airplanes; all of us are enjoying the automobiles; all of us are enjoying various technologies. We cannot put it on just one person who is running a coalmine somewhere. No, he is only running the coalmine because we are using it. So, all of us are equally involved in this. Some may be benefitting more; some may be benefiting less – that’s a different matter. But essentially, we have taken the direction that you can extract happiness from the world. No, human experience happens from within you. So this is a fundamental, if this one thing is established. Suppose, if you sit here, you are absolutely blissed out by yourself, like me. Look at my eyes, I look stoned all the time. Never touched a substance, but blissed out all the time. If you are blissed out by your own nature, you would not be in pursuit of happiness. You would simply do what’s needed – nothing more, nothing less. Right now, all of us are doing excess, because we have become super human beings with technology. What ten thousand men could do, one man can do in a day today, all right? What ten thousand men could do in the past, today one man can do, because we are empowered by technology. Once you are empowered like this, if you are still in pursuit of happiness, we are going to dig this planet through and through, all right? Temperatures going up is just a small reaction of the planet. Bigger reactions will come, inevitably. Sadhguru: Essentially, digging the planet up. George: Essentially, whatever it is to dig the planet up. And so there must be a place, or there is a role for courage, because one has to say no to one’s self-interest and one’s individuality in order for us to protect what we have. Sadhguru: No, no, no – that is a failed idea already. In the sense, you are trying to control human aspiration – you will never do that. That is never going to work. People are driving a Tesla to their office but they got a beast parked at home. [Both laugh] I see this all over the place. So trying to control human aspiration is not going to work, because it is within the human being to long to find his fulfillment. Unless we show him a method, a scientific method, in a way… I am saying “scientific” because it is repeatable and people can study it…to find that within yourself. This may look like an old thing. “Oh, so many people said that.” That’s not the point. The point is not a philosophy of turning inward. The point is of methodology of knowing. See, this is a fact that every human experience has a chemical basis to it. Suppose I teach you a simple process with which you can concoct your chemistry in such a way that it’s a chemistry of blissfulness. Now, there is no need for you to run in life, unless you find a purpose that’s worthy of you. You will not run for the sake of winning a race, because you are fine. You have already won with life, in many ways, because you are living a very peaceful, joyful, wonderful life within yourself. Now you will do what is needed. This is a fact that any human being, when they are feeling wonderful, they are naturally wonderful to everything around them. When they feeling nasty, they’ll of course share it with others. Sadhguru: If you are really joyful, you will never seek gratification of any kind. Right now, when you say we are in pursuit of happiness, you have a whole humanity who is largely nasty within themselves. They don’t even know ease of life. Forget about the blissfulness of life or ecstasy of life – they do not even know how to be at ease. They are always fidgety. Either they are doing this, or they are doing this – something compulsive. George: Oh, if we define it like that, it may indeed be the case. But this has been… You know, I am old enough to know the world before the mobile phone. And this is no longer a mobile phone – this is mobile technology that has given me incredible access to information at my fingertips. In most places where I go in this world, it has allowed us in many ways to have this conversation transmitted effortlessly, transmitted in a way that is affordable for us to do as an organization, same I would say goes for yourself as well, and to reach many people. And yet, it also has a component to it that is…to say that it’s a distraction is perhaps using the kindest terms. Maybe adultery is the right term… So, how do we manage this? Sadhguru: I think, in the very first part of the conversation, we touched this: Most beautiful things that are given to us, we will turn it against ourselves. Not because there is something wrong with technology – technology enables you; it empowers you in so many ways. Right now, it’s called as “smartphone,” because that’s the smartest thing about a whole lot of people. [Both laugh] So this phone, is it a problem? No, what is a problem is compulsiveness. Do you know a whole lot of people have given up smoking because they are texting? Sadhguru: The problem is compulsiveness. If people start eating, they don’t know when to stop eating. If they start drinking, they don’t know when to stop drinking. If they smoke, they don’t know when to stop. If they start using the phone, they don’t know when to stop. We have to address the compulsiveness within the human being. This compulsiveness is coming because every action that you do is in pursuit of your happiness and wellbeing. George: So the satisfaction in two hundred and ten times that an individual checks his phone according to recent data… Two hundred and ten times a day, we pick up the phone – not to answer it. George: Yes, and maybe not smoke. Sadhguru: Yes. Because both hands are busy now, you can’t smoke. George: Or the mind isn’t thinking either. Sadhguru: No, the important thing is this – we are in pursuit of happiness, all right? Now the phone has given you a virtual means to pursue your happiness. Otherwise, you had to go somewhere to meet somebody; you have to walk a distance. People were doing it then also. It’s just that it was not so visible because now they are reaching out to hundred people in a minute. George: Happiness, self-gratification – are these interchangeable? Sadhguru: See, if you are really joyful, you will never seek gratification of any kind. George: So you can keep the phone down. Sadhguru: That’s not the point. Whether you use the phone or not depends on what kind of work and what kind of stuff you are doing. But the important thing is there is no compulsiveness about either the phone or the smoke or the food, or anything for that matter. That means you are a conscious being. 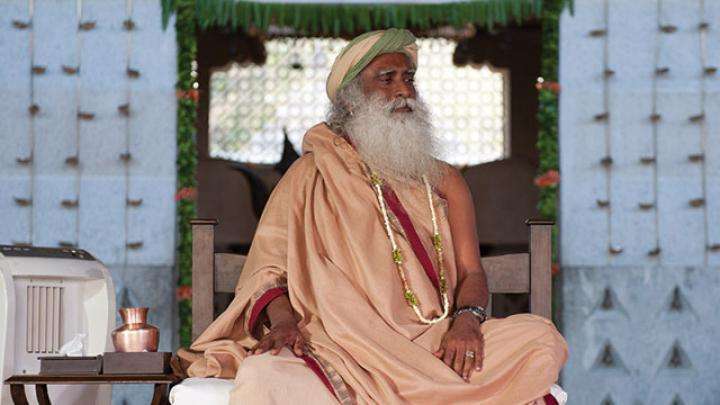 Sadhguru: This is what yoga means – first thing is you know how to be. It’s only to a human being this being is attached, all right? We don’t say a tiger being or an elephant being or a crocodile being. Nothing like that – only human being. Why this is so is we are supposed to know how to be. Supposed to know how to be means I can make my thoughts, my emotions, my chemistry, my body the way I want. I know how to be. That’s one thing, one description that most human beings are very far away from. They don’t know how to be. Their only way is action, all the time action, compulsive action. Because only through action, they are trying to establish their being, but that’s not how life happens. You are a being. You are a human being. If you know how to be, then you could have determined how your thought should be, emotion should be, action should be. This is what yoga means – first thing is you know how to be. Once you know how to be, how you conduct your life in a given time, in a given situation, considering the nature of your activity and life that you have chosen, accordingly you act, to the best of your intelligence and capability. George: Sadhguru, I think, on that note, we will bring this wonderful conversation to a close. Sadhguru: Did I say something wrong? George: Absolutely not! Instead of saying anything wrong, you actually brought everything together. And I think it’s always important to provide people…and myself included…to provide us with at least an opportunity to have a package that we can reflect on, in which all of the components are blinking. Sadhguru: Stop looking at peace, love, joy, this, that separately. If we just now how to be, it means your body, your physiological structure, and psychological structure takes instructions from you. If this one thing happened, you don’t have to pursue any of those things. You will be just fine. George: On that note, Sadhguru, thank you very much. Thank you all of our Facebook communities, thank you for being part of this conversation, and we wish you a blessed day. We wish you an opportunity to reflect on these words, and hopefully that you also take them with you and make them part of your daily life. For now, with Sadhguru, I am George Papagiannis, live from UNESCO headquarters, wishing you a great day, and perhaps a day for positive change. Does yoga require following a lot of rules? Sadhguru explains, yoga is not about rules, but about understanding the geometry of the human body. 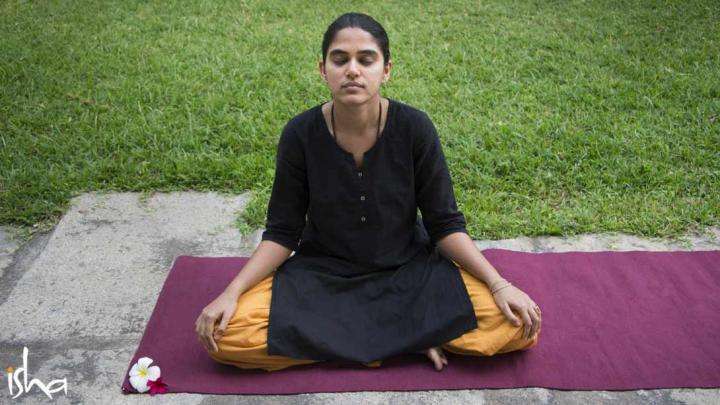 What Can Western Doctors Learn from Yogic Science?